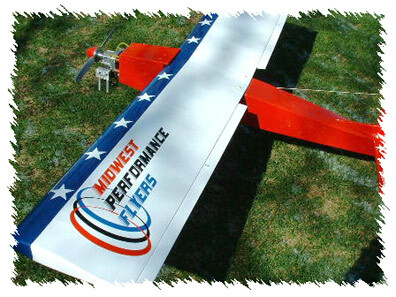 "Super Bowl Sunday" Watching the Game on big screen TV, Indoor Flying & Pizza hosted by the Midwest Performance Flyer's. 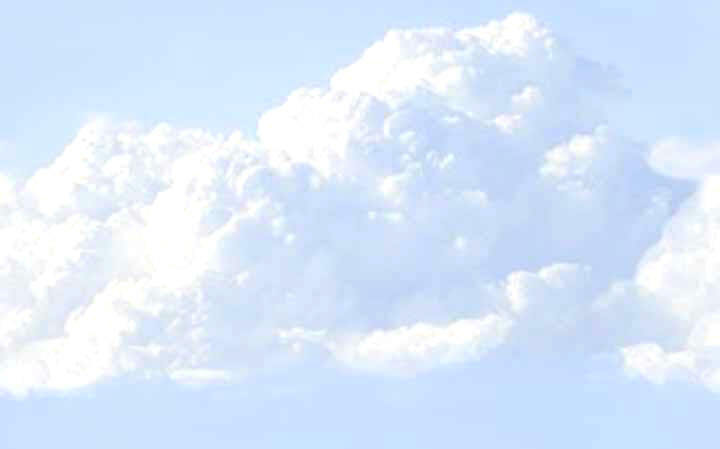 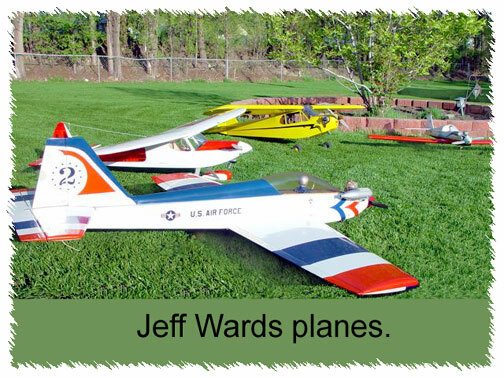 Click here to view two slide shows. 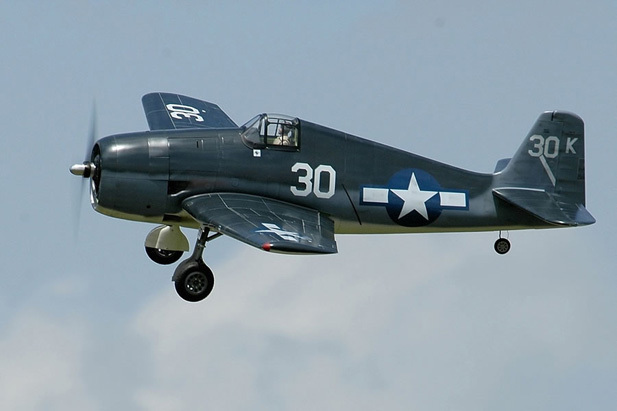 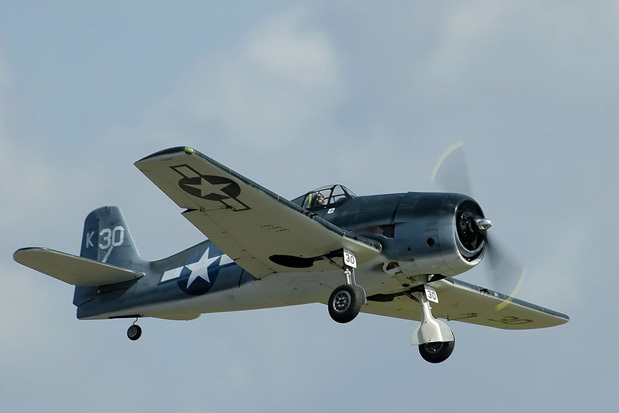 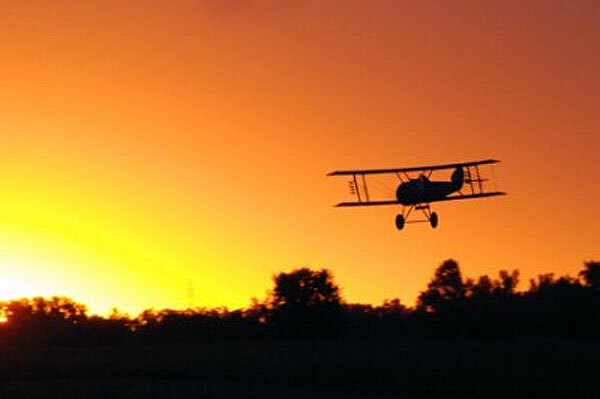 Dean Dingman's trip with pictures from the Hoosier Dawn Patrol at Muncie, IN. 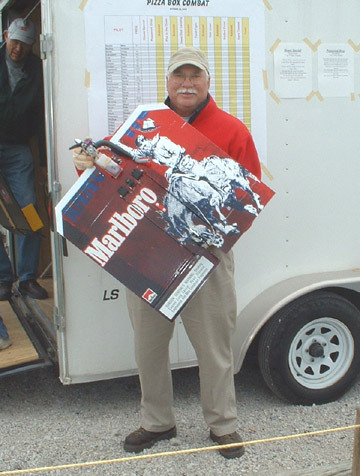 Read about Dean Dingman's trip to Muncie on the Aug.18, 2007 weekend. 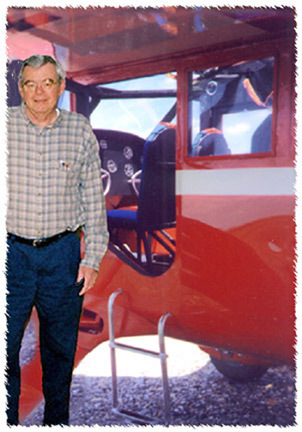 Click Here For Photos of Midwest Performance Flyer's Helicopter Fun Fly. 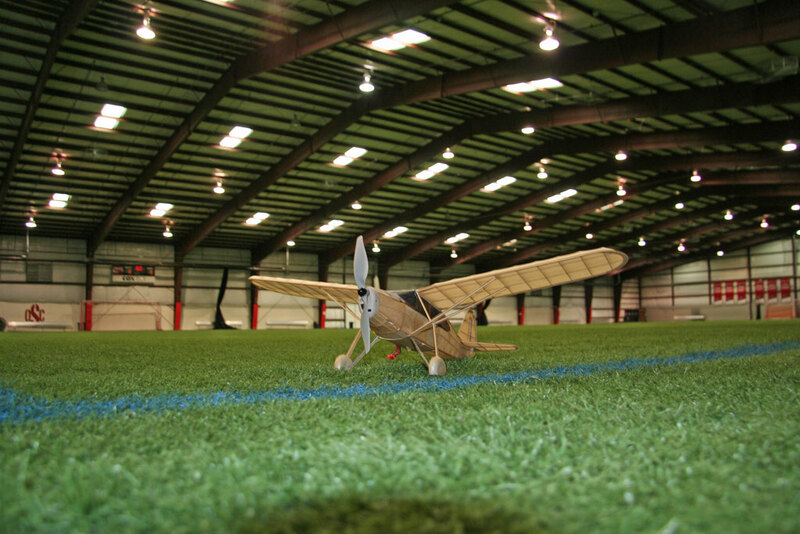 Click Here For Photos of Midwest Performance Flyer's Training Night. 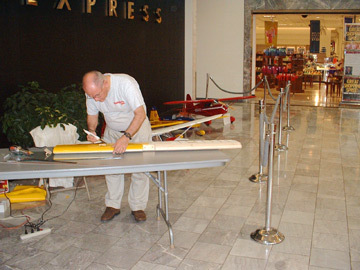 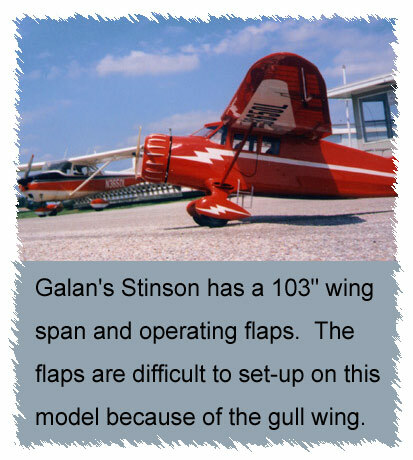 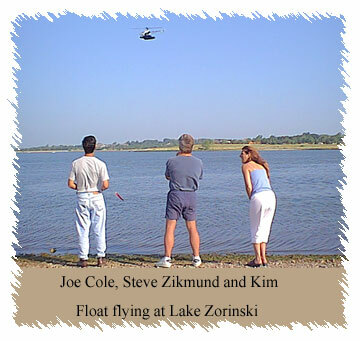 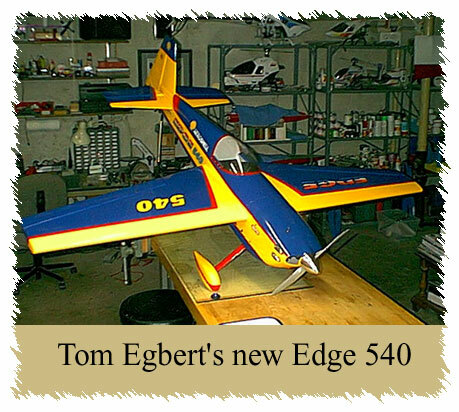 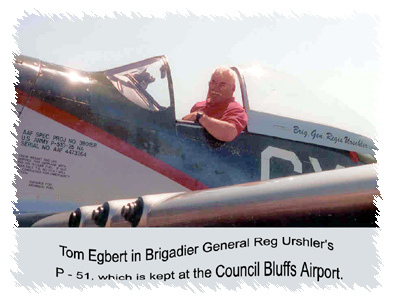 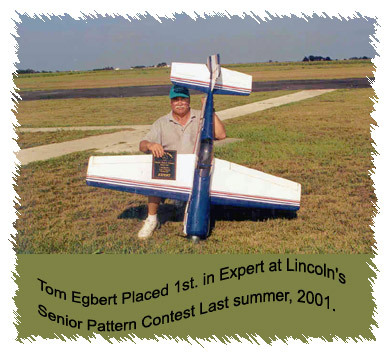 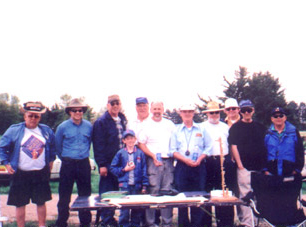 Tom Ebert has organized many Flying/Instructional Programs for Schools Scouts etc. 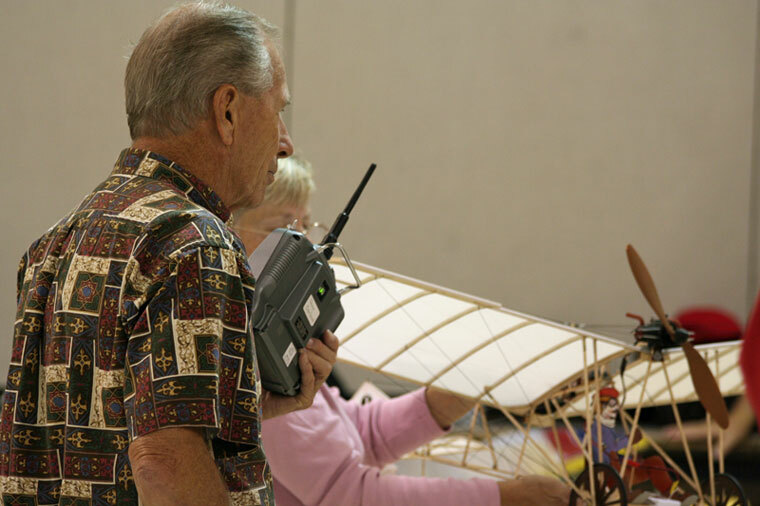 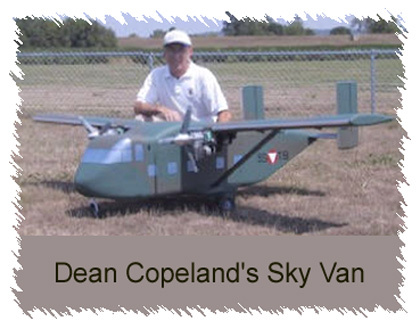 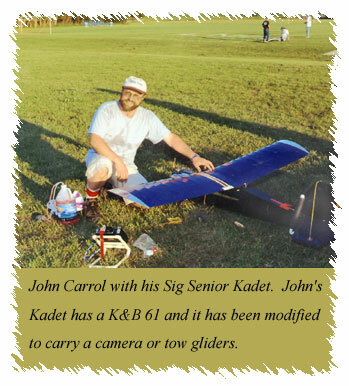 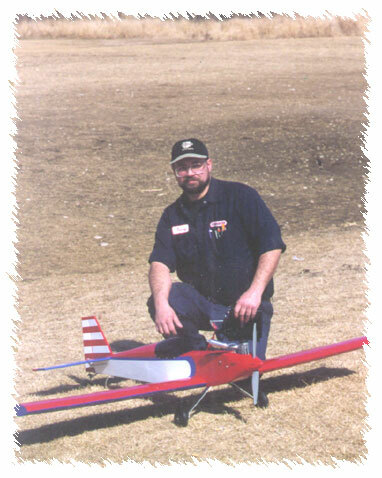 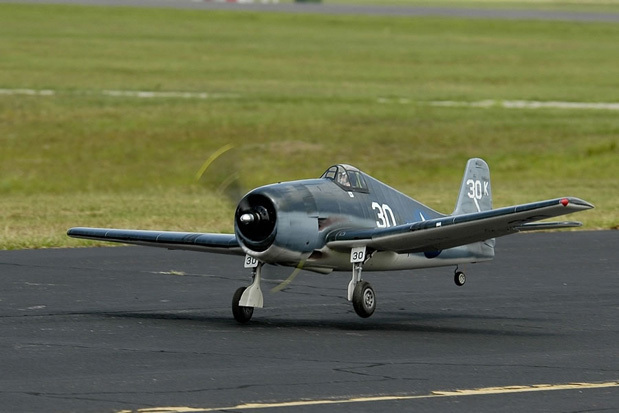 Dean Copeland with model holding his Demoiselle Keith Paskewitz Fly 3-D type maneuvers. 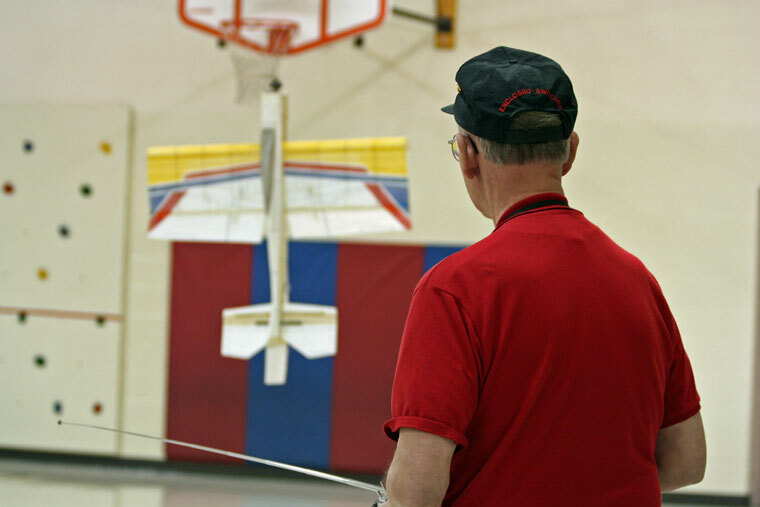 Midwest Performance Flyers flew with the ACE (Aerospace Exploration) Camp on July 11th at La Vista Field. 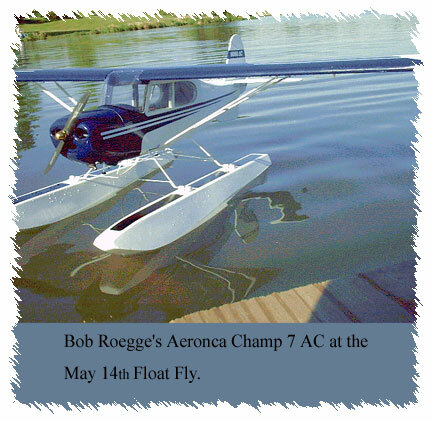 ACE is a group of High School Students from all over the state of Nebraska . 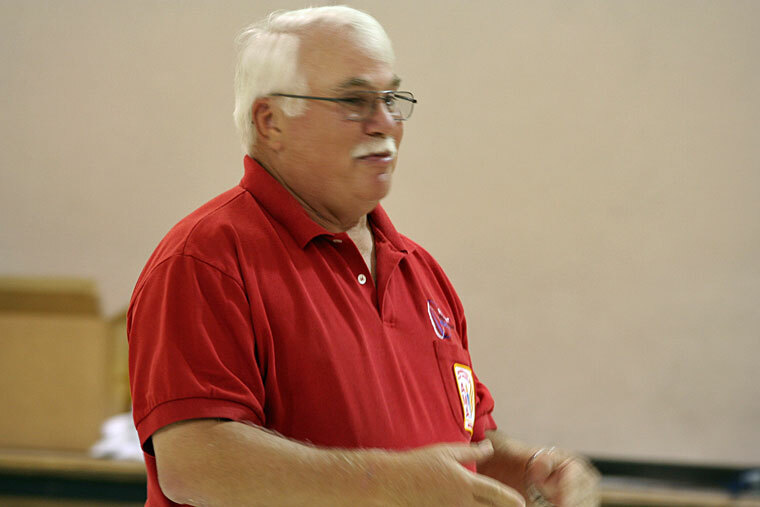 Each Student must apply and the camp is limited to 30 students. 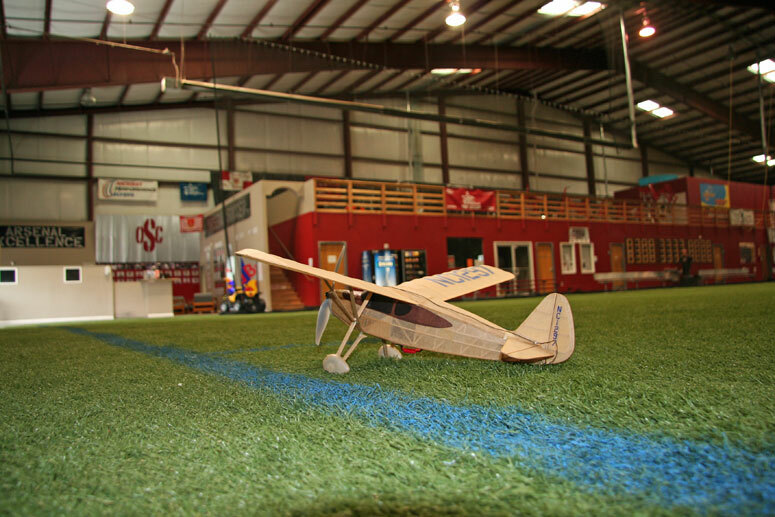 The camp is sponsored by the Nebraska Department of Aeronautics, Strategic Air & Space Museum, and The University of Nebraska. 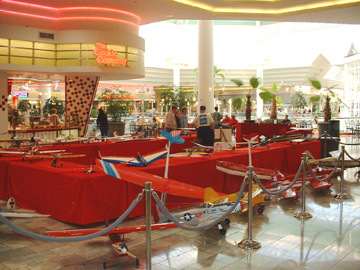 The camp takes place every summer for one week and this is the second year the Performance Flyers have been involved. 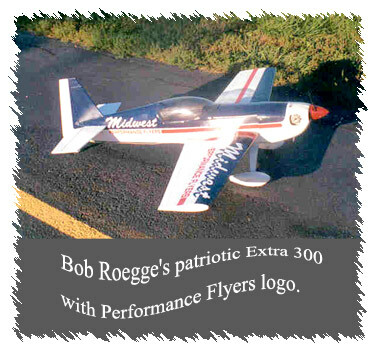 Joe, Steve & Kim Bob Roegge's Tri Pacer Joe Coles Roadrunner Kit, with Kalt G-22, 90" wing and 14 pounds "Joe's cool graphics"
Keith Paskewitz. 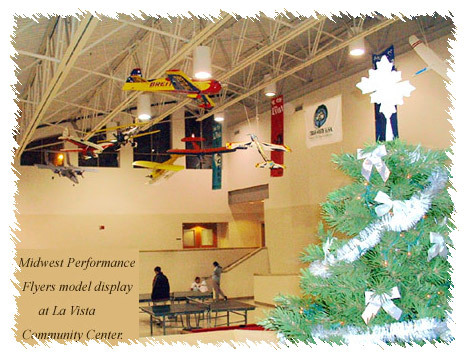 La Vista Display Jeff Ward's Fleet Tom Egbert's Pizza Box Plane with OS .32 Helicopter engine. 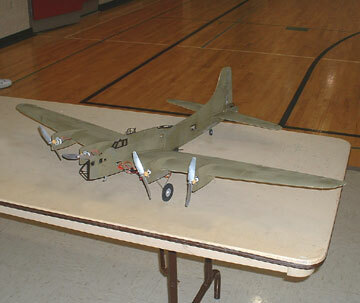 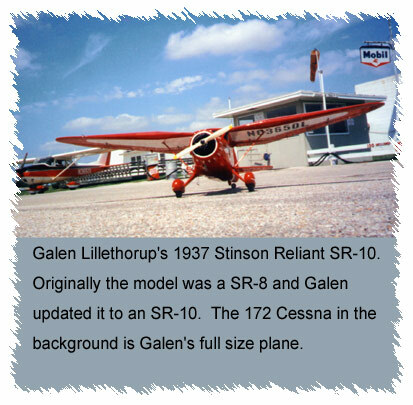 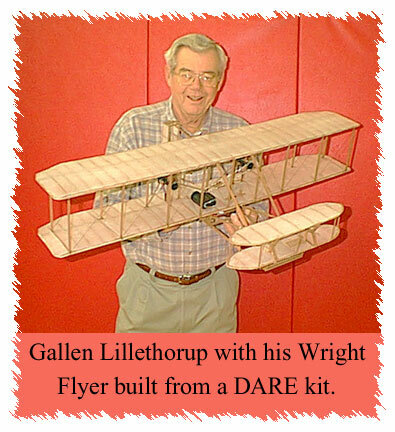 Galen Lillethorup's indoor 4 engine bomber. 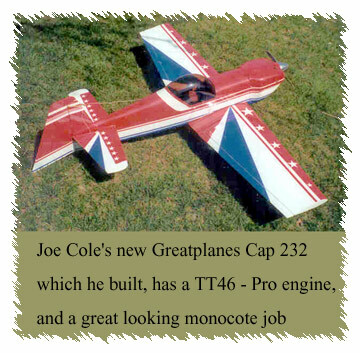 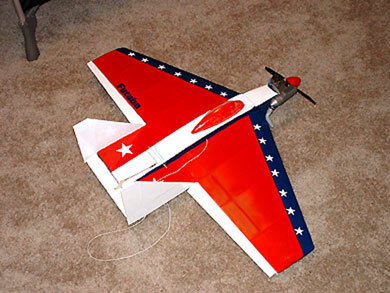 Joe Cole's new flying wing - a Lanier Shrike that he just finished. 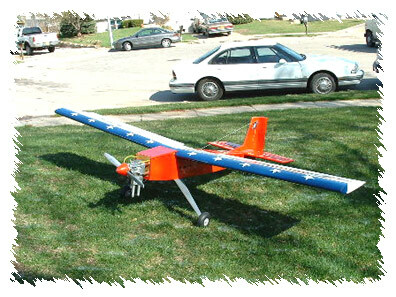 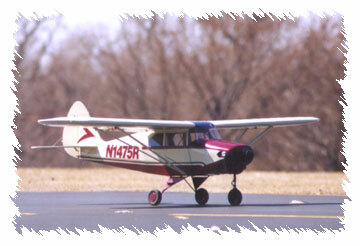 Jim Drickey's Fairchild 24 Built from stick and tissue. 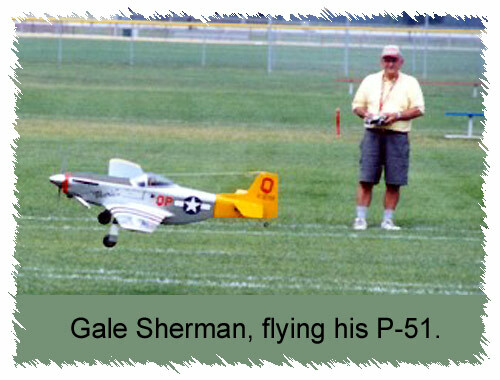 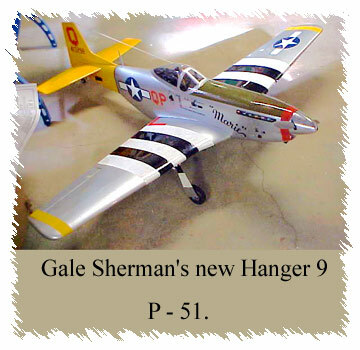 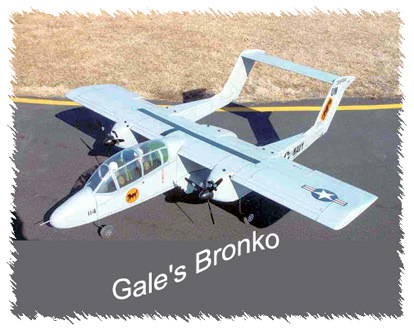 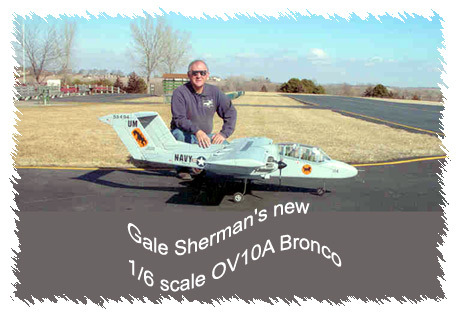 Part of the display "Gale Sherman "Monokote Demo"